This game was made for the 2016 Relic Castle Game Jam! Open Source: all the resources are for public use! This game was made using RMXP and Pokémon Essentials! Hope you enjoy playing it! Hey! So I thought this was a nice fun bite-sized romp, and that's usually what I like in a Pokemon Fan Game (what with my attention span being close to nothing, thanks to Netflix and technology). - The length of the game was perfect. You set us up on a small island with the objective to explore it all, and you walk us through it with the story, even with the cove being a cool little "extra" area. It made me want to find the HM for dive and explore what's in that cove. - Level balance was excellent, I didn't feel like I had to grind, yet there was still a bit of a challenge I felt with the Diving Master, Suicune, and especially Entei (what a heartbreaking first battle I had with him). It's the right amount of difficulty where I know I could beat the "boss" if I applied a little strategy, which is exactly what you want from a Pokemon game. - Healing spots were well spaced, which was very nice. - Certainly a lot of typos and grammar errors took me out of immersion a bit. - The 'tiny grass' felt off having wild Pokemon in them. I liked that they had the leaf animation but it didn't feel right to me that there would be wild Pokemon hidden in the tiny grass. - As a story aside, it felt super strange that a town where everyone was dying of thirst had a berry shop and unlimited quanities of Fresh Water to sell. I think I would have preferred Burn Heals to Rawst Berries in a town suffering a drought. - Maybe you could add a Raikou post-game event related to the extra Cove? It did feel odd to not have the third beast appear. All in all, I had a great time, and I think this was well put together. Great job!! @Evan Thanks very much for the feedback! I'll respond to some of your criticisms. So first off, sorry about the spelling mistakes! Not really any excuse for that, just missed them when I was checking through I guess. About the Roggenrola, I have to agree with you that there were way too many in the game, I honestly can't believe I didn't pick up on it when I was play testing actually, so again, sorry about that! I stand by the berry shop idea though. The berries came from Malachite Gardens, which was meant to be a garden of desert plants that didn't need much water. Plus, there was that undrinkable swampy pond in the north that they could have used to water the plants anyway. I do agree that having you be able to buy Fresh Waters was dumb and doesn't make any sense though, I didn't think that through at all. Thanks for playing, and I'm glad you enjoyed it! Hey there, I really enjoyed playing Umber. The Pokémon selection, setting, and plot were all quite interesting. If it was longer, then that'd be swell, but since it's a Jam game, I understand why it isn't. For a game made in less than a month it was pretty good. Although a lot of parts seemed vague even with all the directing the side characters did. I probably spent half an hour soft resetting for Suicune and I was honestly going to change the catch rate on it since it was so hard to outlast the Drizzle, but then I noticed you put it at a 0% catchrate. If I hadn't looked at that myself I would've never known Suicune was not catchable. Also, using Roar on Entei kind of makes the game impossible to beat so if you ever patch this you might want to take a look at it. But I did have quite a bit of fun with this one and it was good to use the Lillipup line again. @Raiden What parts exactly seemed vague to you? I feel like you're pretty well directed on where to go, personally. I agree about making it more obvious that you're not meant to be able to catch Suicune, definitely should have made that point more obvious.But I'm glad you enjoyed it overall! @Dawn Bronze That whole uncatchable thing was mostly what I was talking about when I meant it was vague since the game pretty much said "Go in there and stop the Guardian." and catching legendaries is often accepted in games as ways of defeating them. But I didn't have any real problems other than that confusion (which was probably on me for thinking some kid with a Lillipup / Herdier would be capable of catching a Suicune). Currently enjoying this. 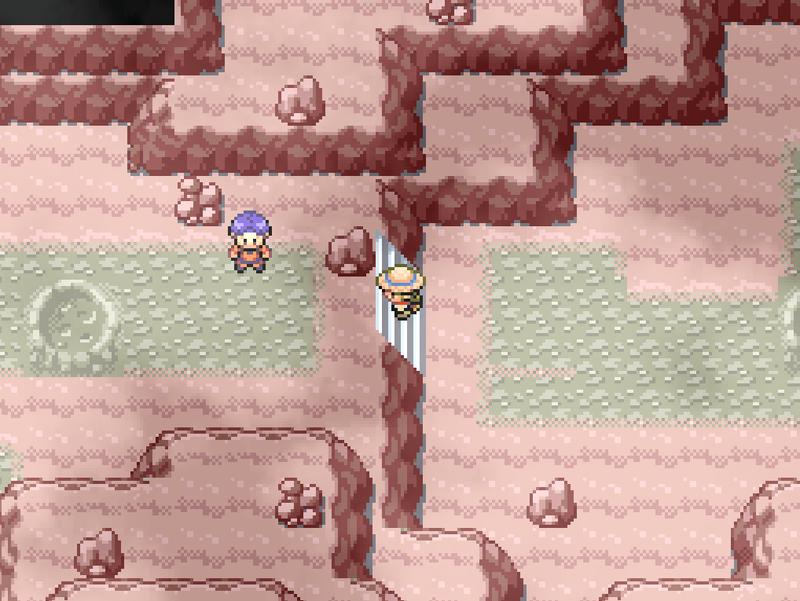 I love the tileset and mapping! Is the encounter density higher than usual? It feels a bit high to me. @Fallways Thank you! And no, the encounter rate shouldn't be any different than how it normally is in essentials. I didn't do anything to change it, at least. Help! I'm stuckand don't want to redo about 30 minutes of playtime, plus I saved on this spot. Genius! @MadDeodorant Ah yikes! Do you own RMXP? You can open the actual game project, go into debug mode and hold control to clip through the map and get yourself unstuck. Oh Pokemon Umber, there are many comments I have after playing this game. First, I definitely enjoyed every minute of playing through it! The pacing of the story was absolutely everything I had anticipated from a small island adventure, and the plots of the guardians was a solid idea. I definitely felt like I had a purpose to helping these people, and that each boss helped to test my abilities without being broken or having the odds stacked against me. The spritework was also pretty well made for the custom characters too, which is a big bonus for me. My major problems honestly came in the smaller details, things that were just irritating or didn't make sense. 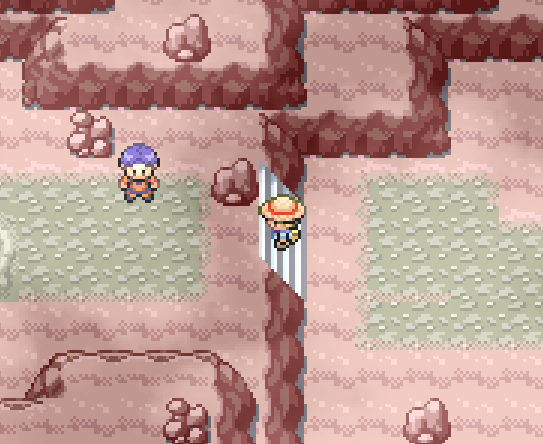 Even after beating it I am still frustrated by the super small grass, which should not have included wild pokemon but for some reason still gave me an encounter every time I crossed one tile of tiny grass. Another incident that was more of an annoyance to me than anything was that the HP bar and the EXP bars would stutter or not show the full animation before disappearing, leaving me unsure just how much damage each attack truly did until it might have been too late. I had many moments where I had gotten furious after losing a pokemon because the HP looked like it had 5 HP left, only to find out that my 'mon really fainted. Despite these two minor issues though, I think you made a very strong game jam, and I hope that you will continue to make strong porjects like this! I really love this game! I never got around to finishing it... but it definitely looks amazing, you did a really good job! The mapping is on point and the sprites look so cute! Looking at it makes me wish I didn't have 20 things to do, because I want to just map!!! Really though, great job, I definitely have to play it fully when I get the chance! I'm so far liking this game. I would recommend it to others. I'm enjoying it so far, but there a couple of things I've noticed wrong. Minor things, like Meowth having Rhyhorn's cry and Helioptile having Pikachu's. There's a slight tiling error in the downstairs of the starting house, and also a weird blockade on the top garden in Malachite Gardens. You also left all the game editing stuff in the folder. Since it was for a Game Jam, the game is actually open source, so the game editing stuff was purposely left in the folder. I'm stuck and I feel like crying. I did everything I could to get out and I refuse to restart. Please, is there some way I can fix this without having to own the program used to make this game? @SlinkyNoodle Oh no! This is a known bug, and I'm very sorry you've run into it!Don't worry though, if you upload your save file to a site such as MediaFire or Google Drive and give me the link, I should be able to get you unstuck, and send you back your save file. I would update the game to remove this issue, however I'm actually currently working on a large scale update to Umber with much more added content, and think it would be better to just leave the game as it is until I release that. 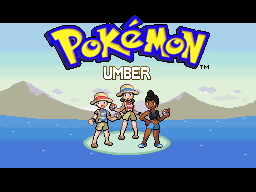 So stay tuned for news on the expanded Pokemon Umber! There's some errors I would like you to fix, Dawn Bronze. Meowth uses Rhydon/Charizard's cry instead of its own. Helioptile/Heliolisk use Pikachu/Raichu's cries instead of their own. Dedenne uses Pachirisu's cry instead of its own. Doduo/Dodrio's box sprites are switched. Cleffa/Clefairy/Clefable are not Fairy type when they should be. Cleffa/Clefairy/Clefable's types are normal, it comes default with essentials.